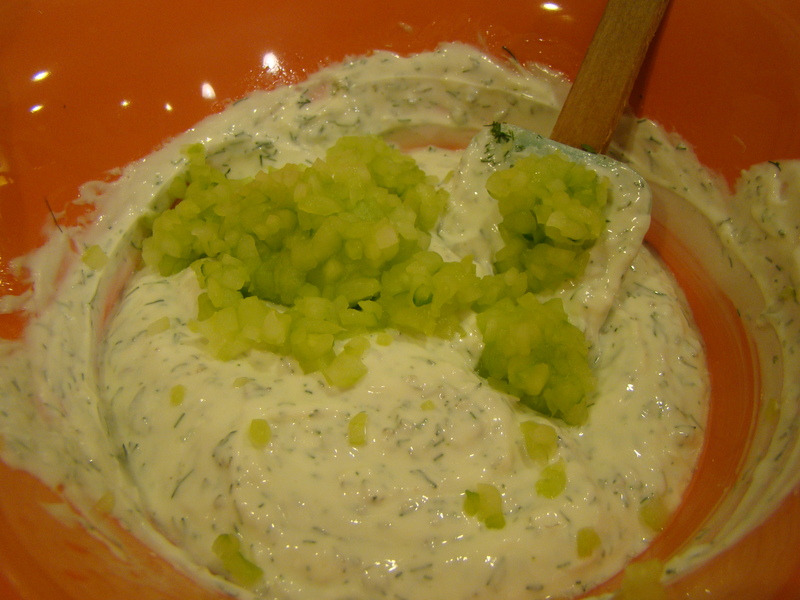 I love all the ingredients in this yogurt-cucumber dip and though I recognized the recipe’s name, I somehow never had this before. 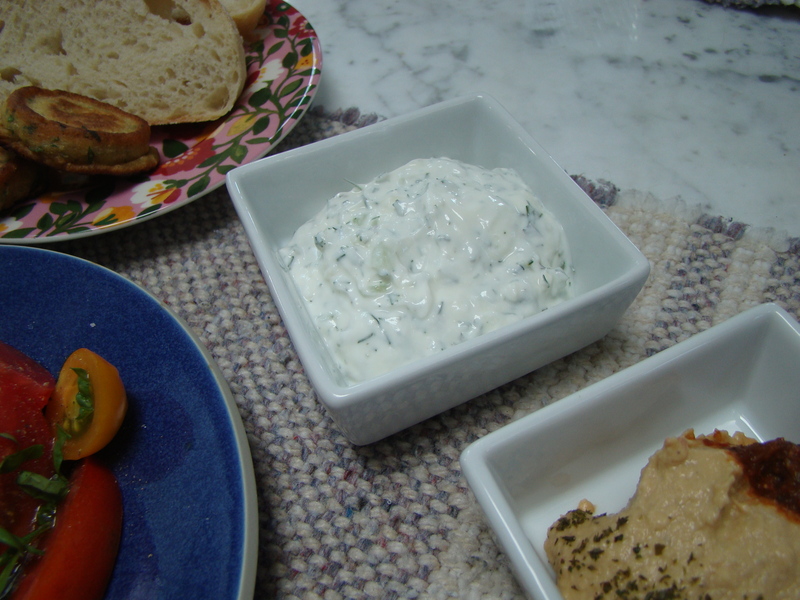 Cucumbers are in their prime (we got 6 from our CSA share this week), so the French Fridays with Dorie choice this week of tzatziki was perfectly seasonal. After a week of family visiting and many delicious shared meals, I’ll admit, I’m happy to cooking and eating at home again. 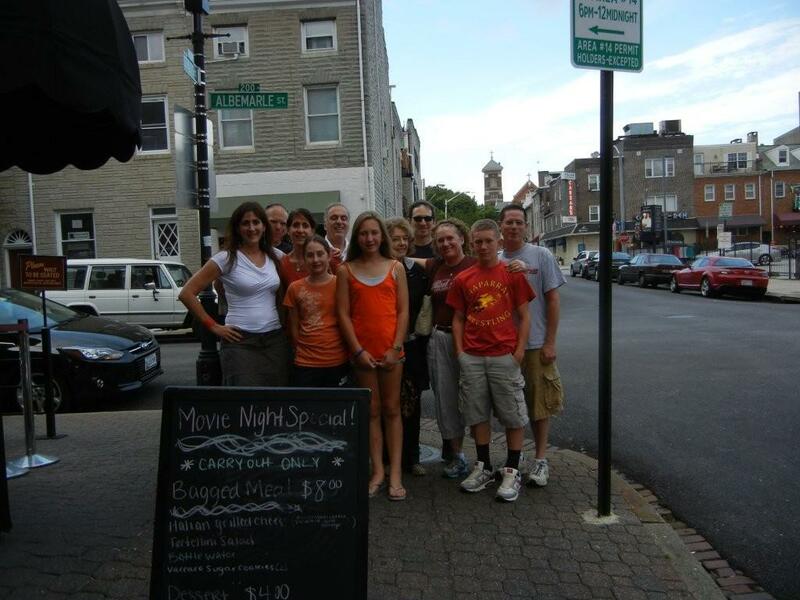 Living hundreds of miles from immediate family, I welcome our mid-Atlantic tours to see everyone, but I miss my own bed and kitchen. The highlight of the trip was a Red Sox victory at Camden Yards against the Orioles. Red Sox Nation was well-represented in the park that night, even if I was surrounded by my own family, rooting for the Orioles. And, even though, Howard and I aren’t fans of the beach, it was reassuring to see with our own eyes, the ongoing recovery on Long Beach Island after the Hurricane Sandy’s devastation last fall while we spent a few lazy and enjoyable days with my in-laws. You have to plan ahead a few hours for this one. Finely chopped cucumbers are tossed with salt, allowed to sit for half an hour to draw the water out, and then squeezed tight to dry them. I’m always amazed how much water comes out of certain vegetables with this treatment. I made these delicious zucchini fritters last week, and I similarly marveled at the quantity of water released by the salt. With the cukes, the white flesh took on a translucent pale green color which was surprising. While the cucumbers are dehydrating, I mixed together Greek yogurt, minced garlic, olive oil, lemon juice, chopped dill and mint. The squeezed and now-less-watery cucumbers are stirred in. Initially, the dip was quite spicy. This must have been the garlic because there aren’t any spicy ingredients. After a night in the refrigerator, the garlic bite mellowed, and my tzatziki was had a much smoother taste. I served tzatziki as part of a meze platter for lunch. Tzatziki, hummus, tomato-basil salad, falafels (made from chickpea flour leftover from the socca) and slices of country bread. It was light, cool, and screamed of summer. I’m happy to have discovered this recipe, and I’ll definitely be making this one again.